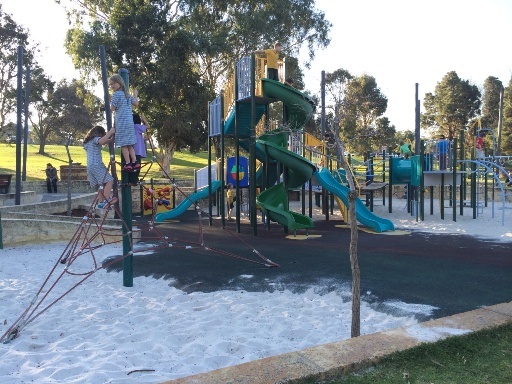 The Carine Open Space Playground best accessed from the parking on Okley Rd, is well shaded and located on the beautiful grassed area alongside Big Carine Swamp. Its well shaded with natural shade, and shade sails in Summer & Spring. At the playground area you will find a large playground with something for big and little kids. With a tall twisty slide, small climbing frame, sensory play and a cute little toddler sand play area. 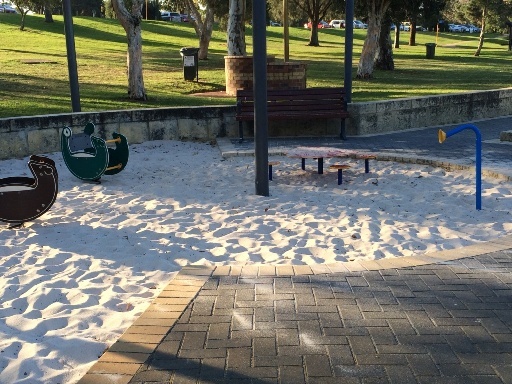 This area is right alongside the large playground and is surrounded by seating and features some toddler sand play, sound play and ride on bouncer type play equipment. 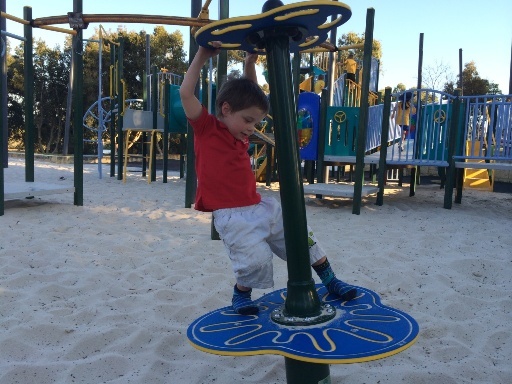 This spinning thing was very popular with my 4yo boy - I couldn't get him off it! There is also lots of footpaths for riding bikes or scooters around. Walkways go all throughout the large Carine Open Space park area. 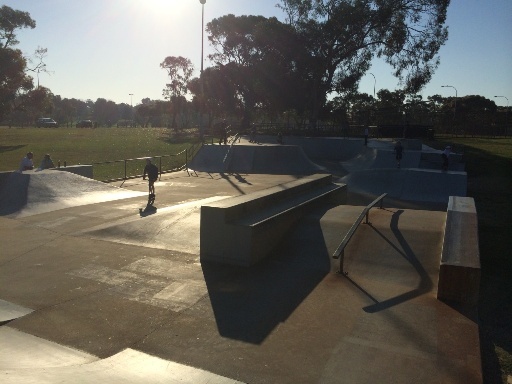 Not far from the playground is a Skate Park, you can either walk from the Skate Park or enter the car park via Beach Rd and park right alongside the Skate Park. This skate park is definitely for the more confident and advanced rider. 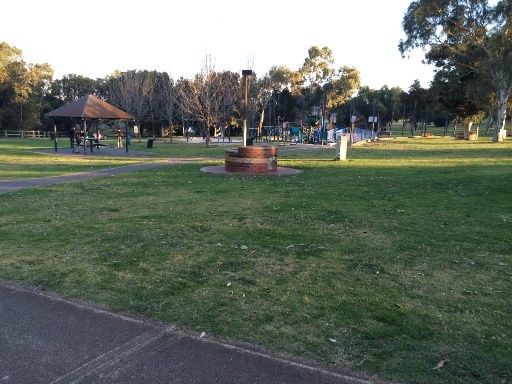 Carine Open Space is a beautiful place for a play, a walk, to take the dog, or to meet with friends & family. There are toilets, BBQ's, picnic shelters, and plenty of grass to run around on or to enjoy a picnicl Just across the road to is the Carine Glades Shopping Centre so you can get a coffee nearby! Want info & a map for Carine Open Space while you are on the go? 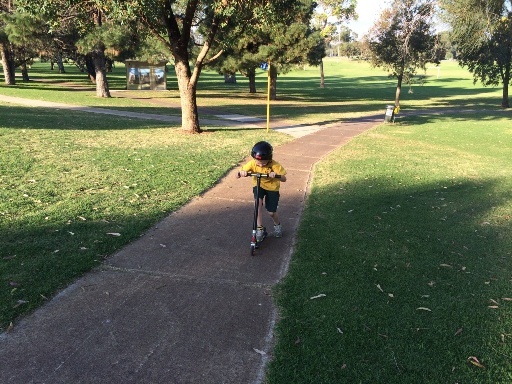 Then get the Kids Around Perth App available on iPhone & Android!